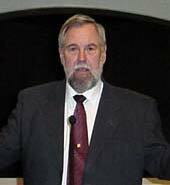 Pastor William R. Downing is the founding pastor of Sovereign Grace Baptist Church. Prior to his call to the gospel ministry in 1963, he worked as a commercial deep sea diver, construction worker and truck driver. By the grace of God he has faithfully served the Lord as a pastor in six different congregations since entering the ministry . He has also served as a credentialed school teacher and as a professor in several educational institutions, teaching at the college, seminary and graduate school level. His academic degrees include an M.A. in Ed., a Th.M., a Ph.D. in New Testament Studies, and an honorary D.D. He has authored fourteen books and several pamphlets and papers. Pastor Downing married Adeline Mary "Cookie" Mica in 1967, and they have three children and eleven grandchildren. Paul S. Nelson received his Ph.D. in Chemistry from Arizona State University in 1982. He has authored numerous scientific articles in peer reviewed journals, and is the inventor of six US patents. He is founder and President of Nelson Biotechnologies, Inc., a nucleic acid chemistry company located in Morgan Hill, CA. 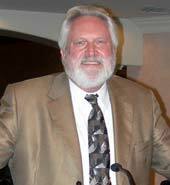 Dr. Nelson fulfilled requirements for and received a Master of Theology in 2002. In 2003, Sovereign Grace Baptist Church of Silicon Valley ordained him to the gospel ministry and subsequently as Associate Pastor. He lectures at the Pacific Institute for Religious Studies in Apologetics, and has written the book entitled, "The Song of the Suffering Servant." Paul has been married for over 32 years. He is the father of three children, and grandfather of four.